To celebrate the holiday season, we are offering two DVD box sets, in UK Pal format, as first and second prizes in a competition open to UK residents. For details on how to enter, please visit the IANN Competition Page. 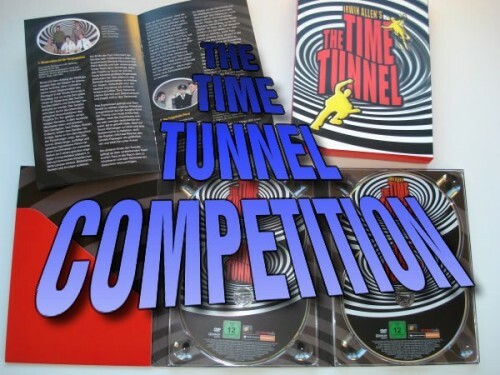 Studio Hamburg Enterprises GmbH have kindly donated some copies of the German ARD voice synchro version of The Time Tunnel (aired in 1971-72) for the latest IANN competition. The competition ends on Sunday 12th August 2012 and is open to UK residents only. 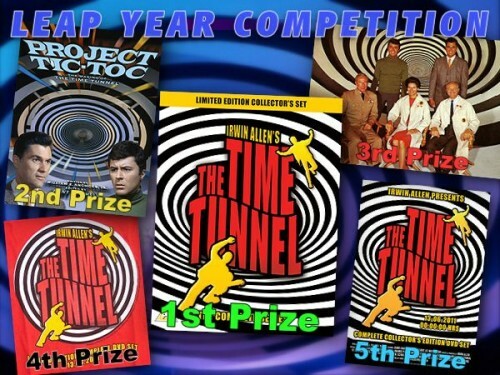 Sendit.com are running a new Irwin Allen DVD competition for UK residents with a bumper DVD prize including the Land of the Giants, Voyage to the Bottom of the Sea and Time Tunnel Complete DVD box sets plus a Time Tunnel T Shirt and a signed Land of the Giants poster. Sendit.com are running a new Voyage to the Bottom of the Sea competition for UK residents with a bumper Voyage prize including the Voyage to the Bottom of the Sea Complete DVD box set and Moebius Models kits. 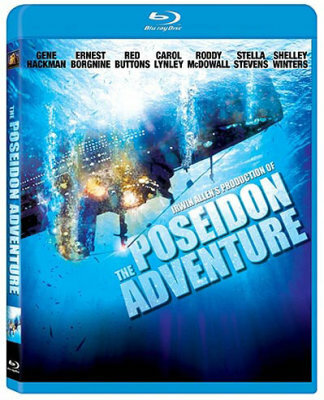 In this 40th anniversary year for Irwin Allen’s award winning The Poseidon Adventure, we see this outstanding movie being released on Blu-Ray in the US, France and Germany. In the US, the Blu-Ray version is being released as a Walmart Exclusive. It features the same extras that appeared in the special edition DVD set. 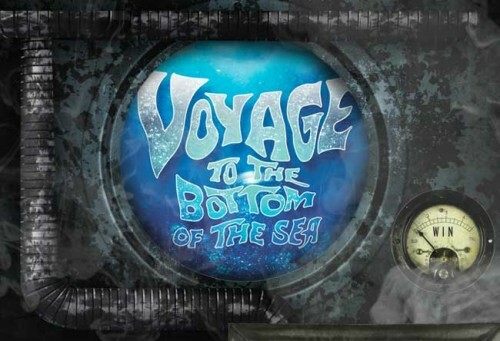 Win a Complete Series DVD box-set of Irwin Allen’s Voyage to the Bottom of the Sea at the What’s On TV website. The competition closes at 5pm on Wednesday 28 March 2012. This competition is open to UK residents only (Region 2, PAL DVDs). 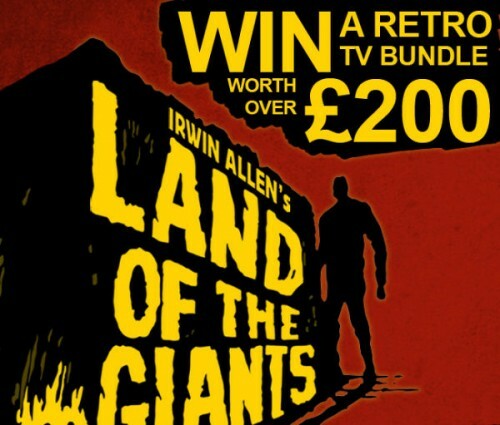 Win a Complete Series DVD box-set of Irwin Allen’s Land of the Giants at the What’s On TV website. 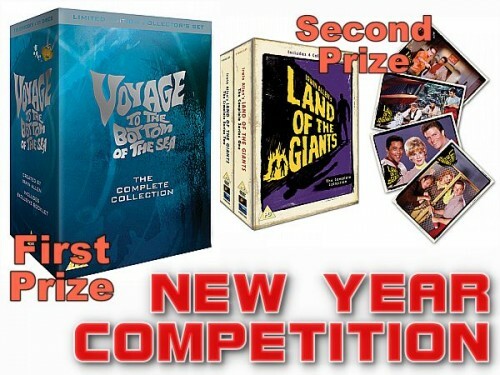 There will also be a second competition later this month for the Voyage to the Bottom of the Sea Complete DVD set. This competition is open to UK residents only (Region 2, PAL DVDs). We are running a brand new photographic competition to celebrate today, 29th February 2012, with the goal of showcasing your favourite Irwin Allen collectibles. Over the past 50 years, an amazing number of collectibles have been produced to celebrate and promote all of the Irwin Allen movies and television shows. This is your opportunity to show off with pride your amazing Irwin Allen collectibles. If you have a large collection of Irwin Allen toys etc, why not gather them together for a photo shoot. If your collection is more modest as many of ours are, try some creative and fun photography showcasing which collectibles you treasure most. Collections can include books, toys, DVDs, photo collections, badges, magazines, posters, model kits and builds, and all other kinds of Irwin Allen paraphernalia. A small judging panel of Irwin Allen fans (not including any competitors) will decide between them which are the favourite collection photos. If they are available, we may even ask one or two Irwin Allen actors to take a look at the competition entries and help with the judging process. Remember, it’s not about how many collectibles you own, but on how you present and treasure them. If you don’t have a digital camera, see if a friend or member of your family can take a snapshot of your Irwin Allen collectible(s) with their mobile phone and email the photo over as an attachment. The best photographs will be featured and credited to your name (either your full name or a nickname if you prefer) in a special permanent gallery at the end of the competition. Some inventive or creative ideas might be to create a Time Tunnel backdrop and photograph your collectibles in front of it. Or use camera angles to depict a giant picking up one of your Land of the Giants collectibles. If you have some photo editing software, why not add some special photographic effects to add a typical “Irwin Allen” atmosphere to your photograph. There are endless possibilities. Most of all, have fun seeing your collectibles in a different light. Just days away is the UK release of the complete set of Land of the Giants episodes on DVD featuring a new exclusive set of collectible postcards. 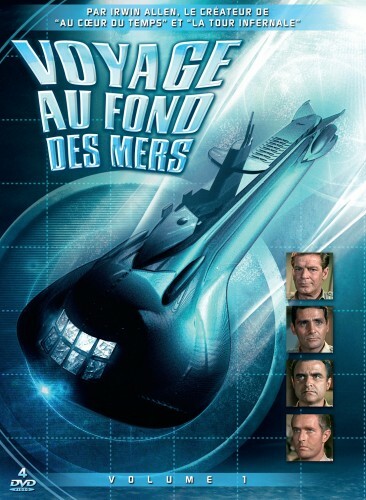 Some episodes of Voyage to the Bottom of the Sea are now available on DVD in French as Voyage au Fond des Mers (released 31st January 2012). In France, Volume 1 is a 4 disk set containing the first 13 episodes of Season Two. From the information available, the set sadly does not contain the original English version and there are no French sub-titles. We don’t know why they’ve chosen to start with the Season Two colour episodes but that may be due to not having a version of Season One dubbed into French. If anyone can provide further details on the planned French DVD releases, please contact us.